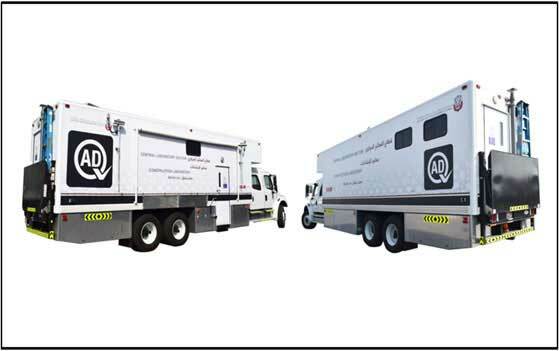 Abu Dhabi Quality and Conformity Council (QCC) – Central Testing Lab affiliated to ADQCC purchased a mobile testing lab which targets bolstering the material testing capabilities and support the construction and infrastructure sectors in Abu Dhabi. The mobile testing lab is considered the first of its kind in UAE. The lab is equipped with extraordinary equipment compatible with all safety measures. The facility insured the materials durability and endurance during performing under pressure, humidity and extreme temperature. The lab uses heavy truck to work in rural and off-road environments.